Summer bug laid me up. I’m indulging in the audio equivalent of tea with honey, lemon, and a shot of something to scare away the bug. A little cello playing by Yo-Yo Ma never fails to make me feel better. This sweet video is enlightening, didn’t realize Ma had an older sister who was an accomplished musician at a tender age. Worthwhile to watch this week considering the blizzard of arguments about immigrants and refugees here and abroad. And then for good measure, a second favorite added in the mix — Yo-Yo Ma and Itzhak Perlman together, performing Beethoven’s Triple Concerto Fantasy. There. I feel a little better already. Probably better than frustrated House Democrats led by Rep. John Lewis who are engaging in a sit-in protest on House floor demanding a vote on No-Fly-No-Buy gun control. If you want to watch the action, you’ll have to check social media. It’s said House GOP leadership ensured CSPAN cameras were shut off. Volkswagen streamlining offerings to cut costs, 40 makes on the chopping block (Bloomberg) — This is the old General Motors play that eventually killed Oldsmobile and Pontiac to reduce costs related to duplicative brands. Makes sense, especially if this hatchet job kills passenger diesels. Note the story says a fix may come later — uh-huh, like never? Because VW can’t handle the volume of required repairs OR the lack of actual clean diesel technology, OR both? Testimony in S Korea: VW’s upper management may have ordered regulatory cheats (The Hankyoreh) — Story is focused on emissions controls defeat and approval process, but sound controls were also an issue in South Korea. Were those likewise suppressed by order of VW’s German head office? Former CEO under investigation for securities fraud (Reuters) — Big investors want to know why it took a year for Winterkorn to act after the emissions controls defeat were made public by researchers. Bet there’s a link between Winterkorn’s notification of researchers’ findings and the destruction of emails. Why the hell is PayPal asking a German cloud service provider to monitor its customers? (Fortune) — Seafile ditched PayPal as a payment service provider after PayPal insisted Seafile must monitor its users’ files. That’s a violation of German privacy laws. But why did PayPal ask this in the first place? The argument about illicit file sharing is a stretch. Google’s rolling out an easier Two-Factor Authentication tool (Google Apps Updates Blog) — Google’s enterprise users will see this first, but all Google users should expect new prompts on the desktop and new apps using this new 2FA system. This should replace the 6-digit text message codes as well as verification codes. Facebook’s ethical decision process for research projects still iffy (The Chronicle of Higher Education) — If you can’t release all the details of the deliberative process, it looks pretty shady. What compromises were made? What points weren’t covered or ignored? Who knows? Toothpic technology designed to detect photo theft (PetaPixel) — But the same well-meaning technology is based on fingerprinting a camera, identifying the user by camera. So much for privacy. Going back to a recumbent position. Stay braced for the outcome of the sit-in and Brexit vote tomorrow. This end-of-the-work-week observation is a little different. I’ve posted some not-jazz jazz for your listening pleasure. This piece called Ball and Chain is performed by a loosely joined group of people who worked on development of a subgenre of jazz during the 1990s. It’s called M-base — short for “macro-basic array of structured extemporization” — which relies on improvisation along with non-European elements as jazz does. But its artists’ deliberation in composition combined with a more contemporary flare set this style of music apart from other jazz. Sample a couple more pieces with a little extra estrogen — Cassandra Wilson’s vocals in You Don’t Know What Love Is, and Geri Allen’s keyboarding here with Esperanza Spalding and Terri Lyne Carrington performing Unconditional Love at a recent Jazz in Marciac festival. Wilson and Allen have both been members of the M-base collective, along with Steve Coleman, Robin Eubanks, Graham Haynes, and Greg Osby. I recommend searching out each of those folks in YouTube to explore their continuation of M-base in their work. That’s enough to get you through your Friday evening nightcap. You’ll probably need one after this stuff. More made-up reports to cheat compliance on emissions and now noise levels, this time in South Korea (Bloomberg) — It might be easier now to ask what didn’t VW Group didn’t fib about. No specifics yet, but this looks broader than passenger diesel vehicles if VW also lied about noise levels. German state investigators probing VW employees’ evidence destruction (Deutsche Welle) — At least one employee encouraged co-workers to “get rid of data.” Prosecutors believe most data is still safe and some may be recovered from attempted destruction. Color me skeptical. EU Industry Commissioner turned up his nose at proposals by Germany to tighten emissions rules (Deutsche Welle) — It’s not clear if the EU had concerns that Germany was still trying to get around emissions controls regulations even with more stringent rules as proposed. The share [of strokes] attributable to pollution has been estimated at 33.7% in countries with low and middle income against only 10.2% in high-income countries in 2013, up sharply since 1990. Yet most of the EU has done virtually nothing to eliminate the recently discovered emissions controls cheating vehicles from the road. Op-ed suggests making an example of Volkswagen (USAToday) — Equal protection and all, singling out this company probably won’t fly. But enforcing existing laws to the fullest extent due to brazen, persistent fraud? Hell yeah. They’re killing people with these cheats — long, slow, costly deaths. Twitter says it wasn’t hacked after millions of users’ account data appears online (Bloomberg) — Hey, listen up, boneheads complaining about your Twitter account being locked: 1) Change your password periodically (like every 12 weeks) and 2) DON’T USE THE SAME PASSWORD ON MORE THAN ONE ACCOUNT. Looks like some folks haven’t learned that once one account is breached, more are at risk if they use the same password or a previous iteration from another account. ~smh~ It would take very little to create a database of breached addresses from multiple platforms and compare them for same passwords. If, for example, [123456PW] is used on two known accounts, why wouldn’t a hacker try that same password on other accounts attached to the same email address? Oklahoma state police bought debit card scanning devices (KGOU) — They’re not merely reading account data if they pull you over and take your card to scan for information. They may confiscate any funds attached to the card, too, under civil forfeiture. This is ripe for abuse and overreach, given poor past legal precedent. Why is a magnetic strip any different than your wallet? Economics don’t match reality, and the root of the problem is academic (BloombergView) — Each of “coffee house macro,” finance macro, Fed macro, and academic macroeconomics are grossly out of sync with reality. But the root of this distortion is the one thing they all have in common: their origin in academic economics. Yeah — academia has become little more than an indoctrination factory for the same flawed concepts, while reducing any arguments against the current “free market uber alles” thought regime. Adbusters isn’t waiting for academia; they’re ready to Battle for the Soul of Economics (kickitover.org) — Check it, social media warfare has begun. That’s a wrap on this week. I’m fixing myself a stiff belt and shuffling off to bed. Catch you Monday, the Fates willing and the creek not rising due to climate change. I could listen to this piece on a loop. It’s Santiago de Murcia’s “Tarantela,” performed by noted lutist Rolf Lislevand. The instrument he is playing is as important as the music and his artistry; it’s an extremely rare Stradivarius guitar called the Sabionari. While tarantellas more commonly feature additional instruments and percussion like tambourines, this instrument is stunning by itself. You can learn more about the Sabionari at Open Culture, a site I highly recommend for all manner of educational and exploratory content. And now to dance the tarantella we call Monday. What’s the German word for ‘omertà’? Because Volkswagen has it (Forbes) — Besides the use of obfuscation by translation, VW’s culture obstructs the investigation into Dieselgate by way of a “code of silence.” And money. Hush money helps. Growing percentage of VW investors want an independent investigation (WSJ) — An association 25,000 investors now demands an investigation; the problem continues to be Lower Saxony, the Qatar sovereign-wealth fund and the Porsche family, which combined own 92% of voting stock. VW production workers get a 5% pay raise (IBT) — Is this “hush money,” too, for the employees who can’t afford to be retired like VW’s executives? The rationale for the increase seems sketchy since inflation is negligible and VW group subsidiary workers at Audi and Porsche won’t receive a similar raise. Insanity? VW Group a buy opportunity next month (The Street) — Caveat: I am not a stockbroker. This information is not provided for investment purposes. Your mileage may vary. But I think this is absolute insanity, suggesting VW group stock may offer a buy opportunity next month when VW publishes a strategy for the next decade. If this strategy includes the same utterly opaque organization committing fraud to sell vehicles, is it smart to buy even at today’s depressed prices? The parallel made with Apple stock is bizarre, literally comparing oranges to Apples. Just, no. NPR uses the word “torture” — but not about the U.S. (NPR) — Focus of this audio article is on doctors’ investigating torture using the Istanbul Protocol for documentation, but neatly avoids any torture conducted by the U.S. with the aid of doctors. Or any torture performed by U.S.’ law enforcement and prison complex. Syria is repeatedly mentioned, though. Slovenian student receives 15-month suspended sentence for disclosing state-created security problems (Softpedia) — The student at Slovenia’s Faculty of Criminal Justice and Security in Maribor, Slovenia had been investigating Slovenia’s TETRA encrypted communications protocol over the last four years as part of a school project. He used responsible disclosure practices, but authorities did not respond; he then revealed the encrypted comms’ failure publicly to force action. And law enforcement went after him for exposing their lazy culpability hacking them. Related? Slovenian bank intended target for Vietnamese bank’s SWIFT attempted hack funds (Reuters) — Huh. Imagine that. Same country with highly flawed state-owned encrypted communications protocol was the target for monies hackers attempted to steal via SWIFT from Vietnamese TPBank. Surely just a coincidence, right? Just for the heck of it, consider a lunch read/watch on a recent theory: World War 0. Sounds plausible to me, but this theory seems pretty fluid. Catch you here tomorrow morning! Standard Bank reported it had lost 300 million rand, or USD $19.1 million to the attack on Japanese ATMs. First reports in South African media and Reuters were roughly 11 hours ago or 9:00 a.m. Johannesburg local time. It’s odd the name of the affected bank did not get wider coverage in western media, but then South Africa has a problem with disclosing bank breaches. There were five breaches alleged last year, but little public information about them; they do not appear on Hackmageddon’s list of breaches. This offers a false sense of security to South African banking customers and to banks’ investors alike. Japan Times report attribute the thefts to a Malaysian crime gang. Neither Japan Times nor Manichi mention Standard Bank’s name as the affected South African bank. Both report the thefts actually took place more than a week ago on May 15th — another odd feature about reporting on this rash of well-organized thefts. It’s not like anybody’s paying me for this, unlike the lying liars at Volkswagen who’ve been paid to deceive the public for a decade. This video presentation featuring Daniel Lange and Felix Domke — a security consultant and an IT consultant, respectively, who reverse engineered VW’s emissions control cheat — is a bit long, but it’s chock full of unpleasant truths revealing the motivations behind VW’s Dieselgate deceptions. The video underpins the cheat outlined in a 2006 VW presentation explaining how to defeat emissions tests. The one problem I have with this video is the assumption that the fix on each of the affected vehicles will be $600. Nope. That figure is based on how much has been set aside for the entire Dieselgate fix, NOT the actual cost to repair the vehicles. Because if VW really fixed the vehicles to match the claims they made when they marketed and sold these “clean diesel” passenger cars, it’d cost even more per vehicle. I suspect one of the motivations behind inadequate reserves for a true repair is a reluctance to disclose to competitors how much emissions standards-meeting “clean diesel” really costs. And of course, avoiding more stringent calculations also prevents an even bigger hit to the company’s stock price, which might affect the pockets of some board members and executives rather disproportionately to the rest of the stock market. Just how closely that figure per car hews to the agreement with the court this past week will be worth noting, since the video was published in December last year. But now for the much bigger, even more inconvenient Lügner Lügen: This entire scandal exposes the fraud that is the U.N. Framework Convention on Climate Change Paris agreement. We know a small nonprofit funded research by a tiny group of academics exposing VW’s emissions controls defeat. We know this set off a cascade of similar analysis, exposing even more cheating by more automobile manufacturers. But why are we only now finding out from nonprofits and academics about this fraud? Didn’t our elected representatives create laws and the means for monitoring compliance as well as enforcement? Why aren’t governments in the U.S. and the EU catching these frauds within a year of their being foisted on the public? These questions directly impact the Paris agreement. We’re not starting where emissions standards have been set and where the public believes conditions to be, but at real emissions levels. In other words, we are digging out of a massive pollution hole. Our elected officials across the world will avoid funding the dig-out; they’ll continue another layer of lies to prevent removal from office. And we can reasonably expect from them only what they’ve done so far, which Dieselgate has proven to be little. For that matter, Flint’s water crisis has much in common with Dieselgate, relying on academic research and nonprofit entities to reveal mortal threats to the community. Flint’s crisis showed us government at all levels can be even worse at writing laws, monitoring compliance, and subsequent enforcement. If the public cannot expect government to do the job it believes it elected them to do over the last several decades, how ever can they expect their government to enact the terms of the Paris agreement? How can we expect third world countries to reduce carbon emissions to save the world from the devastation of climate change while we and our governments continue to ignore corporations’ ongoing deceptions? No roundup today, gang. I strongly recommend watching the video above. Thanks to BoingBoing for linking to it. Congratulations! You made it to another Friday! 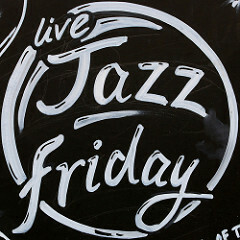 The end of the week means jazz here, until I run out of genres. This Friday I’m not covering a genre, though. I’m pointing you to one of the most surprising and utterly awesome gifts jazz lovers and historians could get. 1,000 hours of free jazz, ready to download. Holy mackerel! I almost fainted when @OpenCulture tweeted last week about David W. Niven’s collection shared with the public at Archive.org. Just as amazing is Niven’s commentary, providing context we would never otherwise have about each piece. I’ll embed some Louis Armstrong at the bottom of this post to get your weekend started. Mark this collection as one of my favorite things ever. This is the second China-specific malware that researchers at Palo Alto Networks have found this year. Gee, why China? Just the wankers, mind you, though it’s hard to tell which MPs were the wankers as Labour and SNP sat on their hands during the vote for the Investigatory Powers Bill (IPB), not wanting to appear obstructive. Fondly called the ‘Snoopers’ Charter,’ the bill replaces Regulation of Investigatory Powers Act (RIPA) and passed in the House of Commons on its second reading. The bill allows the UK government to amass all Internet Connection Records (ICRs) for a year’s time, including telecommunications connections. Restrictions on which government entities have access to these records and for what purpose is muddy at best, and the cost of collecting and storing these records will be borne by the network service providers who in turn will need to raise their rates. Sane people understand the IPB as passed is atrocious. The bill would not have passed the second reading at all had all of Labour and the SNP voted against it, but a number of wankers argue Edward Snowden is reason enough to dragnet the entire UK’s internet activity — which makes no sense whatsoever, based on the bill’s current formulation. The ‘Snoopers’ Charter’ now enters the Committee Stage, where it’s hoped somebody catches a cluestick and puts the brakes on this current iteration of government panopticon. Hmm. A little late to the party after at least four different vulnerabilities were revealed over the last year, but better late than never. Rather annoying the public needs to be on guard against automakers’ naiveté/stupidity/hubris. The tone of the MIT Review piece — technology’s coolness is sufficient rationale for its creation and existence — offers interesting insight, explaining how awful technology ends up commercialized in spite of its lack of fitness. Let’s call it a week and get on with our weekend. Have a good one!